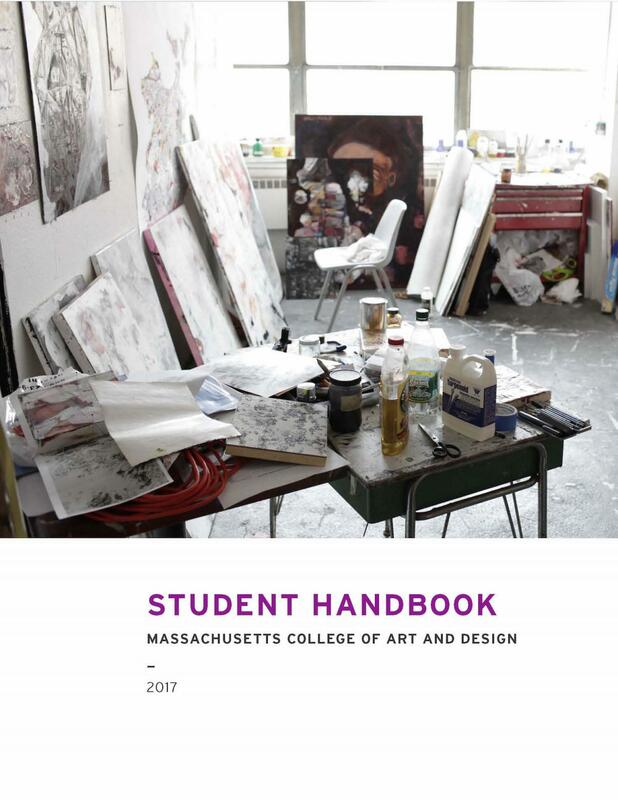 The Student Handbook provides important information regardinging academic policies, student policies and procedures, admissions and enrollment, and life at MassArt. Students are required to be well versed and comply with all policies. The College reserves the right to make changes in regulations, policies, procedures, and other matters from time to time as deemed appropriate.